South Park, 1198 Massachusetts St.
Join us this Memorial Day in Lawrence, KS for a family-friendly event that supports Family Promise of Lawrence, a nonprofit serving local families experiencing homelessness. This is a fast, certified course. First-time racers, joggers, walkers, strollers and dogs on leash are welcome. Medals will be awarded to age group finishers as well as overall and master's winners. Teams of four or more receive $5 discount/person. 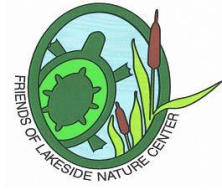 Music, bounce houses and other children's activities on-site. For more details and to register, click here! Frank A. Theis Park, 47th & Oak Sts. 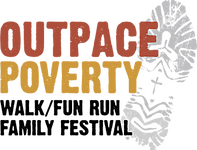 Proceeds from Outpace Poverty 2019 benefit the programs and services provided by Catholic Charities of Kansas City-St. Joseph. It is our mission To Serve & To Lift all whom we come in contact with - serving client’s immediate needs relieving whatever anxiety or burden is on their heart while simultaneously seeking to lift them to the dignity of self-reliance. Atchison Family YMCA/Cray Community Center, 321 Commercial St.
Camp Lake of the Woods, 7331 Oakwood Dr.
Hamburg Community School District, 309 S St. The tri-state race allows runners to complete a 10K race by traveling from Iowa into Nebraska and Missouri. An optional one mile walk/run is also available. All runners will receive a finisher's award, an engraved glass, and a t-shirt. All proceeds from the run will go to support the Hamburg Middle School's trip to Washington D.C. For details and to register, click here! Join us on Friday, November 1st for the annual Spooky Sprint North 5k and 10k in Kansas City. The Spooky Sprint is a Halloween-themed run that is perfect for the whole family. The fun includes a costume contest, free kids dash, great post-race food, and plenty of fun activities and vendors! You are not going to want to miss this one. For more details and to register, click here! The Spooky Sprint (North) is a Race KC Series participating race. Looking to have more fun, running with friends and family? Start a new holiday tradition! Don your turkey hat, pose for pics and earn your pumpkin pie after running along meandering Ward Parkway. For more details and to register, click here! 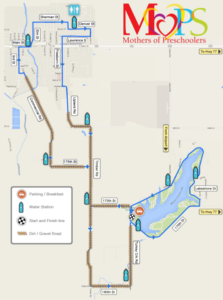 The Ward Parkway Thanksgiving Day Run is a Race KC Series participating race.